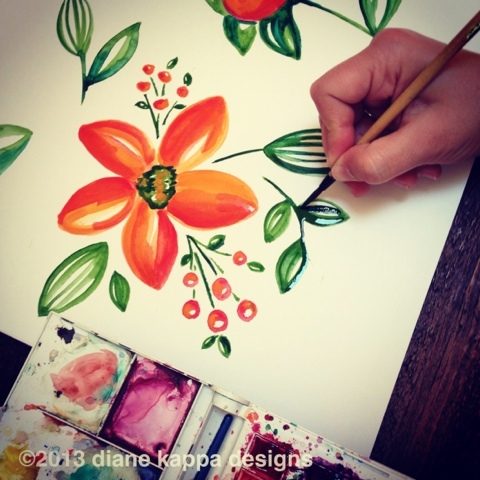 Diane Kappa: morning painting. day 8. I am heading to Napa for 4 days of R&R. I will be bringing my paints and a good book along with my sunglasses and swimsuit. Can't wait to head out. Hope you are having a nice long weekend.